Some of the Feedback we have had from Guests at the Cottage. "We have had a wonderful stay.,explored lots of places.Thank you for the lovely welcome pack and lovely cosy cottage. ""Lovely stay,even better starting it with a lovely welcome pack..All the facilities we needed and help on hand when required.House was very cosy.Thank you one again!." "We all had an amazing time Beverley.Thank you so much for your lovely cottage and warm welcome.You made our first family holiday so special!We recommend a visit to the Ape and Monkey resue centre.."
Tom,Becky,Tasha,little Jessie and Cooper the dog. "Thank you for your kindness whilst we stayed here and thank you for the lovely welcome pack!.We will be back1.we thoroughly recommend the Botanical Gardens and the Bird of Prey Centre.Lots to do for guests and families." "Thank you for your lovely warm home.We had spectacular weather and spectacular scenery.We enjoyed walks in the mountains and The gower with our dog Ruffles and in your cottage we had all we needed.Thank you for all the welcome goodies.We will return.Thank you!
" Thanks for the use of your lovely cottage!.We had a great week visiting our son and daughter in law in Ammanford.Sunny and warm too which was great.Thank you!" "many thanks, we enjoyed our stay in your lovely cottage and garden. " "Lovely cottage,very homely and comfortable,could not have asked for more. It enabled us to spend time with our daughter and grandaughter to celebrate her 4th birthday.Thank you!" "Thank you very much for letting us stay. We've had a great time and having such a lovely place to use as a base was brilliant." "Such a lovely homely cottage!.Well placed for waking on the beach,hills and woods and along the streams.We have had a great break,thank you so much Bev and Caron for your lovely clean cottage." "This has been such a wonderful place to stay whilst we were on our pantomime tour.The comfy kitchen was amazing and cottage such a joy to stay in,we will definately be back!." "A very cosy cottage close to many beautiful areas in Wales." "We thoroughly enjoyed our stay here even when we arrived in the rain,we still had some great walking weather for the rest of our trip and got to see plenty of this stunning part of the world.Thank you for this lovely home away from home. like a home from home..Lots of visits to Gower and Castles.Really lovely and a very nice place to unwind"
Glen,Laura,Rose,Theo and Bedford the spaniel. "Thank you for the welcome pack and the wine! Everything we needed was here..We had a great time enjoying South wales with lots of beaches and castles to visit." "Being self-employed,this was my first week off in 4 years and I am so glad I chose lothlorien cottage.The welcome pack was a godsend and everything I needed was on hand..The cottage is cosy and homely and very relaxing.I have done 9 castles,raglan is the best.The Brecon Mountain railway and National Botanic Gardens are a great day out.If you are felling daring visit Rhossili and walk to Worms Head and back.I have loved every minute.I will be back and hopefully in less than 4 years.Thank You!" "We have had a lovely week in Cwm gors and we have packed lots into the week including Dan yr ogof caves,Castle Coch,Chimp and Monkey sanctuary,waterfalls and Tenby..Thank you for the goodies upon arrival.They were much appreciated." ​​​​​​​​​​​​​​​​​​-----------​​​​​​​​​​​​​​​​​​​"Wonderful place to stay,there is so much to see and do locally.Between the towns,coast,waterfalls and The Gower we feel like we have been abroad.An excellent time was had by all,thank you." "Had a great time and much attention to detail given to this home.Very Good. "We have had a wonderful week in this beautiful area.We have enjoyed lots of dog and 8yr old child friendly walks including the Black Mountain and four waterfall walks which were amazing especially the Bat Cave at Seven Sisters where you can walk behind the water!.Rhossili beach had idyllic views and Oxwich Bay and Red kite feeding station were memorable.The Cottage has been perfect for relaxing in the evenings and we loved the deep bath for weary legs.Thank you for the welcome pack goodies which were very thoughtful and all the helpful information.Despite occasional rainy morning we had good weather and a great meal at the Goose and Cuckoo in Llangadog.Thank you for a great week! Eelco and Marieke Kamies and family. ​for the wine and the cakes. "The cottage is great and well equipped and Caron and Beverley have been extremely helpful.We have had a lovely stay in the gloriously sunny wales for two weeks.We greatly appreciated the welcome pack and follow up ensuring all was ok for us..Our highlights include the cinema in Brynamman,The Derlwyn arms for a lovely meal and dan yr Ogov caves were brilliant and dog friendly. Heatherton world of adventures was a good family day out and amongst the secluded beaches we loved Church Door Cove.Finally we enjoyed Garnant Golf Course and Amelie loved seeing "Little Mix" which was her first concert.
" we spent a very nice week in lothlerian Cottage. Oh was so nice having Garden and Patio also Kitchen is so komfortable.we Really enjoyed it. "Lovely short break in very well presented and well equipped cottage.The whole area of West Wales and The Brecon Beacons was captivating and dynamic..Llandeilo is worth a visit and Carreg Cennen and castle excellent! Dogs welcome at carreg and cawdor arms.Excellent food.Even the weather was good.Thank you!" "A lovely base from which to enjoy this beautiful area.We were also blessed with nice weather all week!Thank you!" "The cottage is Perfect.Thank You." We all had a great time. The weather was unexpectedly good which helped, and the cottage as nice as always." "it was so nice to be there in the Spring, the dogs loved the garden, although I suspect everything in full leaf prevented little eyes from spotting the windmills ! We hope to return next year. Thank you." ""Thank you very much for all. The house and garden (many birds and a lovely cat visiting us ! ), are very pleasant . We absolutely enjoyed our stay in Cwmghors. We have walked in the Black Montain, and have visited Big Pit, the Welsh Life Museum, Caerphilly, Swansea and Cardiff. Beverley's place was perfect for our family of 5 and our little dog. She provides everything a family could need. A lovely fully equipped kitchen. Comfy beds, Cosy living room with a little library and games not forgetting good wifi. when we arrived the heating was on ready it was lovely and warm, fresh flowers and a welcome pack of essentials including wine ! There is a Private parking at the rear of the house. We had a fantastic time exploring the area. Shops are not too far by car, We ordered our groceries online and they were delivered with no problem at all. Beverley was always easily contactable and very helpful. We highly recommend Beverley's place. "Lovely cottage.All the beds were comfortable and a lovely area." "A wonderful welcome and a real home away from home on our second visit to see family in Cwm Gors.We had a fantastic time in this wonderful place to holiday." I had a long stay of two months at the Lothlorien Cottage, and it was amazing. The cottage was extremely comfortable and I had everything I needed. The doggies loved the big garden at the back. Although I didn’t meet the owner, Beverley, she made us feel very welcome, my puppies and I. And the big added value to my stay was the presence of the housekeeper Caron! She was always quickly there to help me with practical details, very graciously came to install baby cot and high chair when needed, and her knowledge of the area and of everything in general was invaluable! A memorable stay at Lothlorien Cottage that I recommend to anyone wanting to visit the area. bar and grill.We hope to visit here again soon.Thanks again. "A real home away from home!,warm and cosy and thanks for our welcome gifts.This is a perfect location for us to look at buying in the area.Thank you Bev for the lovely cottage and Caron the housekeeper for being there.Highly recommended Five Stars." "We have had a really lovely stay.The cottage is warm,beautiful and well equipped.We very much appreciated the shopping left for us and help with the cooker.The scenery is beautiful and the cottage was a perfect base.Our six month old baby and enthusiastic dog say thank you!" 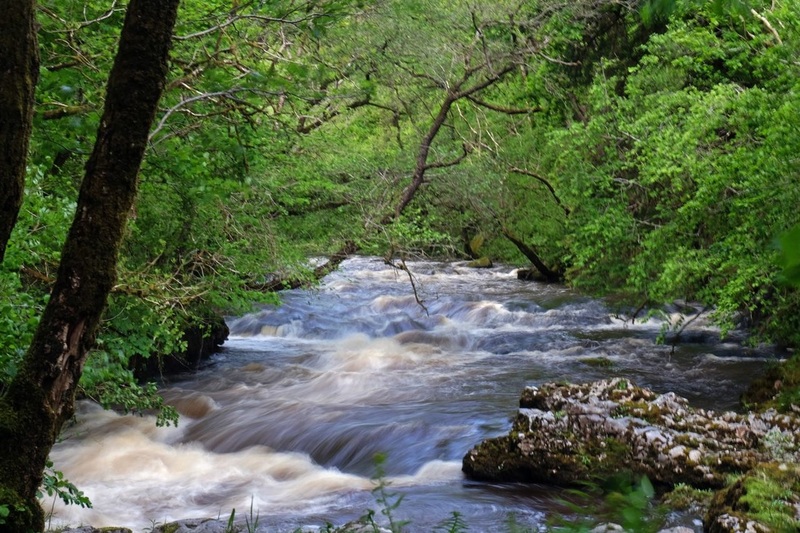 forest for 6 hours to kayaking in Llandysul,visiting Saundersfoot,Tenby and horse-riding.A very hectic week and the cottage was lovely to come home to and unwind.We would love to come back.!" "Thank you so much for making our stay extra special.We have had an amazing time in Wales. ""Thank you for a great time staying here,we have had so much fun." "we had a lovely stay in this cosy cottage which offered everything we needed. It was a good base for our family visit and we especially enjoyed the walk around Henrydd falls." "Our return visit was fantastic and thank you for the welcome pack! at Dan Yr Ogof caves.Will definitely be back!." "Thank you.We had lovely time." "Thank you I had a lovely stay,the cottage is lovely and hope to be back next year.Thank you for gifts." "We had a great time,the cottage is lovely and warm and kitchen well-equipped. Thank you for lovely welcome pack.The weather was kind to us ,only a few wet days.We visited Neath and Mum and I got some great bargains.Tenby and Botanical Gardens well worth a visit and lots more besides.Thank You!." "Lovely Well-Equipped cottage and the welcome pack was so appreciated. Shame about the weather but we never come to Wales expecting to stay dry all the time.Lovely welcome from Caron and brilliant communication with Beverley. "What an absolutely charming property you have here. We are in love with it. Thank you for the many thoughtful touches too and a wonderful welcome from Caron and Nia.We have had a lovely time,how quickly the week has gone.We enjoyed all apart from the weather which prevented us from sitting out in the delightful garden as much as we would have liked.Thank you." "It's been home from home.We 've had a great hol and hope to return.Carons been great and the welcome pack was appreciated. Thanks x"
"We had a lovely long stay and were fortunate to have sunshine for walking in The beacons and beaches.Lovely calm and peaceful place with a real haven of a garden.Thank you for welcome pack and to Caron for all." ​"Great house and garden. Has everything you may need and more to have an enjoyable week. We explored both the Gower and Pembrokeshire Peninsula's on beautiful sunny days - Rhossili, 3 Cliff Bay, Stackpole, St. David's -, the Blaenavon Industrial Landscape - Big Pit National Museum, Ironworks, Heritage Centre -, Black Mountain Dark Sky and Quarries, Dinefwr House and Castle, National Botanical Gardens, St. Fagan's National History Museum... a busy week. Nice house to stay in on a rainy day too!" "Thank you Beverley for allowing us to stay in your lovely cottage.We have had everything we needed for an enjoyable stay,so comfy and cosy and we loved the garden and watching and feeding the birds.The week has gone so fast and we have tried to cram in as much as possible including a Coldplay concert in Cardiff,a trip to The mumbles,a day in Tenby(A lovely place),Caerphilly Castle and the Pembrokeshire coast finishing at St Davids.There is still so much to see that we wish we could stay longer..Thank you for the lovely Welcome Pack, it was much appreciated.Thank you for great communication,every step of the way." The surroundings The people's house just beautiful." "Edward (Aged 9yrs) We had a lovely 7 days in Wales and the house was beautifully set up with a massive garden.Caron welcomed me and even got my Nan a birthday card,she is very kind." Grandma "I second Edwards comments,it is a lovely comfy cottage and well kept garden and we felt very welcome." 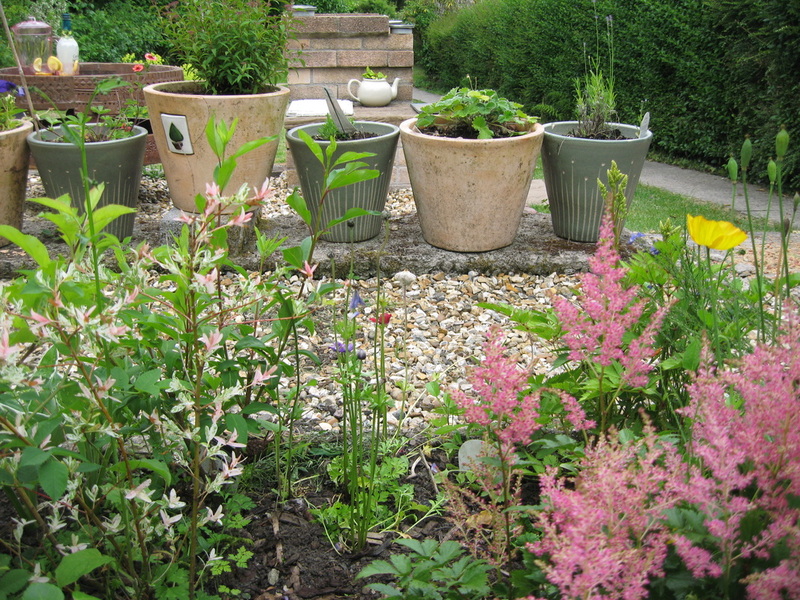 slept in.It is a very beautiful,well equipped and looked after cottage and garden." "Thank you. we managed a good few walks and it was lovely to come back to a warm dry cottage which is, by the way, Beautiful. thank you so much , we had a great time." "we've had a great week. Glorious weather for most of the week and the house has been as nice as we remembered. We've mainly been cycling along the old railway lines that seem to be everwhere. Plus Carreg Cennen, and of course Crescis. Sadly time to pack our bags. "Thank you for our stay.We got married from here.Diolch!" "We just had a fabulous time here.Thank you.Awesome!." "We've had a fantastic week thanks. You have a lovely cottage here in a great location .A well-Equipped proper home from home.Thank you for everything!." Thank you so much Caron for the extra touches which were so thoughtful." " Sandra downham weedon Northampton. Loved all the wonderful homely touches ,really appreciate the effort made to make us feel welcome,very comfortable stay . Julia Thompson. Friday Harbour WA USA we have had a lovely week here,thankyou,very cosy and comfortable." "Just another fabulous four weeks here in our home from home.Its more especially wonderful because we are working in the area.We love it here! Thank you Beverley and Caron and see you next year." "Thank you for the roses and the gifts!.Thank you for a wonderful stay in your warm and cosy and beautiful cottage.We will definately stay again.Beautiful countryside,Castle Cerrig a must see.The fish and chips down in the village were fantastic as was The Mount for a meal. "Thank you so much, we have had an amazing holiday! !All the best in New Year! !!." "Thank you so much for the lovely welcoming hamper .The cottage was comfortable,warm,well stocked wih nice objects It was amazing.Thank you so much for all your hard work." The mumbles and Caswell Bay.Thank you Beverley and caron for our stay." "The cottage is lovely and Caron very welcoming. The children have been very excited. Jessie and Thom said thanks for the lovely basket of sweets and we all thank you for all the treats. Lynn, Laurence, Louise, Jessica and Thomas. "We have had a lovely time.Thank you!.We have been very lucky with the weather and just as lucky finding this lovely cottage which has been a pleasure. Everything was perfect for us and would love to return again one day. "Our time here has gone all too quickly.Lothlorien was every bit as lovely as we remembered it.Caron has done a fantastic job looking after everything.It was so nice to arrive after a long journey with the lights and heating on and a lovely welcome awaiting.The weather hasnt spoilt our enjoyment of the beauty all around.It has been a pleasure as always and we leave,wanting more. We have had a wonderful time! Lothlorien is such a wonderful cosy, comforting place to be, we have thoroughly enjoyed our stay and hope to come back again in the future. Thank you for the privilege, and thanks too to Caron, who takes care of everything so well. "Thank you very much for looking after us so caringly! Thank you for a lovely stay and the welcome pack." "We had a very nice stay at the cottage.The welcome basket,the lovely garden and the settings of the cottage have all made it a holiday to remember.Thank you Beverley and Caron for making us feel so welcome!." welcome basket.We would highly recommend and will come back again." ​caron and the cottage to the next place we visit." "Thank you for letting us stay here.Thank you for all the goodies. views which were never tiring.Thank you to Caron for everything." Thanks again and I'll be sure to recommend you to any friends thinking of coming to this area"
and some rainy days but the cottage was always a safe and warm haven to come home to.We are already looking forward to stay again in August. excellent communications with Beverley and Caron.Highly Recommended. Thank you and Woof Woof." Sara lovatt,Tony mcnamara and dylan the dog.
" we had a very pleasant time in your home, even though we were not so often there. We have used the time to watch more closely Southern Wales. The two not quite as dry days we spent in the cities, Swansea and Cardiff, the other days at St. Davids or Cardigan or the Black Mountains or Tenby and the Gardens between … really nice .Thank you very much!." watching the football.Thank you.you cant have been more helpful when we got lost even the house keeper came up to the cottage to make sure we were okay and the welcome pack was lovely we will come again thanks betty and bill"
"The cottage provided lovely things and was fantastic for a calm holiday. We prefer self catering and the kitchen equipment was good. for the welcome package.Thank you for the lovely place where we where able to spend our Holiday. "The week has gone very quickly but we enjoyed! We had a great time in Wales.Many Thanks for the welcome gifts. Everything in the cottage ok!!." "We have had a very enjoyable week and the house and location has been top notch. "We have had a fantastic week with so much to do. !Thank you for everything!. We had a lovely time." "Thank you for letting us stay.We have had a lovely week and felt very welcome and cosy in your lovely cotage.We recommend the walk up the hill behind the cottage and along the old railway. Also visited Aberdulais Fals and had a delicious meal at The George." Catherine,john and Emily and Molly the dog. "Thank you for your welcome - and the thoughtful gifts. We are very settled in your lovely, cosy cottage. We have had a lovely time - and the weather was fine most of the week which was a bonus.Thanks for a very comfortable stay.."
"Thank you for the wine and flowers which made our anniversary so special. We had a lovely time,the cottage was so welcoming and comfortable and we had a lovely day at the beach.Thank you for all the kind attention.We will be back.!." "Thank you for letting us stay in this fabulous cottage for the past 3 weeks. It has been fantastic and it made work feel like a holiday!. Caron who does a stirling job.See you next year!. "Thank you.This cottage really is perfect." " I spent New Years Eve and a few more days at Lothlorien Cottage. I was amazed how nice it was . The size of the house was just perfect. . You can find everything you need inside - from cups and plates, to washing machine and tumble dryer. And just to mention welcome pack - bottle of champagne and box of shortbread, which was a very nice touch. Cottage was clean and tidy. Garden is beautiful as well, although we couldn't enjoy it as much as it was raining . I can only imagine how beautiful it is in summer. Due to the winter weather we could't explore Brecon Beacon, but we had a chance to see a tiny bit of it. The cottage is on the edge of the national park. We managed to see a few sheep as well as a few horses, which was a big attraction for us. I chosen this cottage because the owner was very helpful when I called to ask for details. She is very polite lady, she made our stay unforgettable. She sent me all maps and information pack to ensure that we have a good time. She also sent me an welcome email on the first day as well as goodbye email on our last day. That was very nice. I would definitely go back and I would deeply recommend this place. We really enjoyed stay in your cottage, we had fantastic time. "What a charming cottage!,warm and inviting with a lovely tree decorated for us and some very welcome xmas cheer.Great communication with host. stay in your lovely house!." "It's been a lovely stay thank you. We enjoyed it very much and the cottage is perfect. We feel very well rested after a much needed break. Thank you again for a wonderful stay.. We were so happy with our stay, I've stayed in a lot of cottages in Wales and yours was so welcoming, homely and relaxed compared to many. "Thank you.We had a lovely stay in your warm and cosy cottage." "We have had the best time!.The cottage was perfect.Every need catered for. We will be back,there is so much more to see and do.Thanks to both of you. had a lot of fun at the Circus School just up the road from you." "Thank you I had a lovely time.Thanks for all you did to make it such a nice stay." we all had some lovely walks on the beaches. Will recommend this cottage to family and hope to return. Thank you Caron for being so helpful." very much and hope it wont be too long before returning again." Griffiths Family and Poppy the dog. thank you for such a comfortable stay." "Perfect Cottage for visiting The Gower,We had a lovely time thank you. I have had a lovely time and the garden is beautiful.Thank you for the sweets." Thanks for your attention ; we enjoy this week and we visit some lovely places like Gower peninsular with the sun !! We made visits to the seaside during our stay in Wales which we found were very similar to Brittany. We hope good weather for visiting London.Thanks for your presents also.We Enjoy." "Thank you we had a lovely time and I had my own bedroom!.Thank you for allowing us to bring our dog." "Thanks for a lovely time,we hope to be back soon." "Thank you! We have had a lovely holiday in a lovely cottage. Nice Neighbours and nice area. Thank you for the goodies!.
" We had a great week with wonderful walks,great weather and a feeling of coming home.Thanks for the cookies,bread and wine and the comfortable beds.Thank you to Caron for the perfect housekeeping." "We have really enjoyed our stay in your cosy,warm and well-equipped cottage. We have not stayed in such a good one before. Milly our dog would like to say thank you for allowing her to stay,she settled in straightaway. Thank you to Caron for your good work,the welcome pack was a lovely touch. It was a home from home." 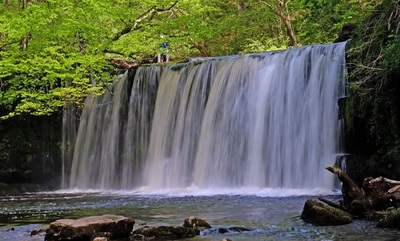 Photos below taken by guest ,Mr lawrence of the waterfalls and picnic areas in the Vale of Neath and kindly sent to me. "Great stay,As usual.Thank you.It was so nice walking into the cottage. and hanging baskets are lovely.In fact everything was lovely!" ﻿",Thank you for everything!.We had a very pleasant stay.!." Finn(aged 9) says thank you for letting us stay.We had a lovely time." 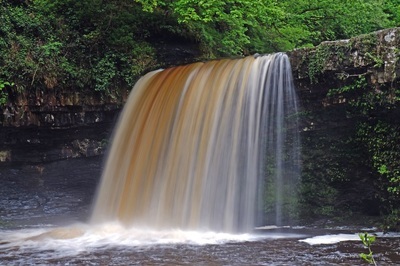 walks in the Brecon Beacons and our day at Tenby.The welcome pack was great thank you and we can recommend the Spice Curry House.The cottage is a gorgeous little haven in a beautiful part of the world,extremely well equipped and comfy.We will recommend to friends." New Tredagar Arms..Both Caron and Callum have been very kind and helpful..
Sam and Ella, the children, say that the cottage was beautiful and cosy and thank you for the Easter Eggs.Happy Easter.!" "Thank you.We have had lovely weather and the cottage has been wonderful. !“Fantastic Cottage & Holiday! On arrival the cottage was above expectations, and a lovely welcome package of chocolates a bottle of wine and some local Bara Brith cake. Inside the cottage was very Nicely set out and had an immediate homely feeling, Lothlorian cottage is superbly situated for those that like to visit the beaches on the Gower Coast or just to have some lovely local walks on the black mountains. Our host Caron was 1st class and very welcoming and assisted us in any questions that we had, we can't wait to return later in the year. Thanks for letting us stay in your cottage, we've had a good time despite the mixed weather and a very good meal at the butchers arms." "A lovely cottage,both comfortable and clean.Missy loved her doggie treats thank you.There are lovely walks behind the cottage along a disused railway track.We loved reading the history of Cwm Gors cottages.The Mumbles was stunning and Caswell bay lovely.We loved Wales and hope to be back.Lovely holiday.We didnt want to come home." "The cottage is lovely and thank you so much for the welcome gifts. The flowers and dog treats were so thoughtful.."
"Thank you.We will be back .It all looks so lovely in the snow." Thanks - I had a lovely week. My friends and I wanted to photograph a number of locations on the Welsh south coast...so the weather was good for the best part of the week." We have had a fantastic time, your cottage is so beautiful and the neighbours are lovely! I hope you enjoyed your Christmas too. Thank you ever so much!.A big thank you to Caron and Callum. "The cottage was great!.Thank you very much." "The cottage was perfect!Thank you very much and hope to stay again soon.!" out walking in the Beacons and The Gower.Will be back. thank you for lovely welcome and goodies." being very good,we visited loads of places,The Mumbles,Rhossili,Saundersfoot,Tenby and Pembrey Country Park. happy boy.Our youngest says"I enjoyed the beach.". "This cottage is gorgeous and very well equipped. It is well looked after and between Beverley and Caron you will be made to feel very welcome. Caron met us on arrival and showed us round while the children quickly raced off to fight over the bedrooms! There was a lovely welcome package of wine, chocolates and local delicacies which was greatly appreciated. We loved this cottage and used it as a base for visiting many local attractions and looked forward to coming home to it after a long day assured of a comfortable nights sleep. I would heartily recommend this cottage to anyone and we will most definitely be staying here again. Many thanks once again to Beverley and Caron x x"
"Great accomodation.Everything possible is catered for and the Welcome pack is a nice touch.Would recommend it to anyone.Thanks for the week." ""We all had a fantastic time.Everybody loved the cottage from the minute we arrived.Caron is a lovely woman who answered our questions and steered us in the right direction.The cottage was comfortable,clean,well stocked and beautifully decorated.The garden is a fantastic haven for birds.This is a great base for visiting all around the area.We arrived in time for the Ammanford Mediaeval festival which was great.We had a great time and are sad to leave. Thank you so much.We look forward to coming back." We had a lovely holiday, your cottage is ideally situated for mountains, beach, canals and rivers and having had such brilliant weather we couldn't have wished for anything more. Thank you so much for the use of your beautiful cottage." Thank-you for a wonderful stay in the beautiful Lothlorien Cottage. My friends and I had a fantastic week, one we would like to repeat in the future. Many thanks for arranging the deposit to be returned so quickly. wonderful time,scenery and attractions brilliant.We will be back." "We have had such a lovely stay in this beautiful cottage despite the weather. we had a brilliant time." for everything,we spent a magnificent time." good,the marmalade too and we were happy to taste the local cake." "Brilliant stay at Lothlorien cottage It is very well planned and in a lovely spot.Loads of sunny days at the beach.Visited Rhossili, a must see, amazing scenery and Langland Bay, the best beach in South Wales.On our last couple of days we ventured over to see the Lady in The Lake which was fantastic.Wine etc much appreciated." "We have had a lovely holiday in your cottage.Thank you very much for everything.."
"We have had a great week! the weather today has just capped it off. We are sure we will be back! places and even the dogs loved your pretty cottage garden.Thank you for the goodies." Thank you for your attention when we arrived." "It was a wonderful holidays. It is sure, we shall return in the Wales. The cottage WAS complete and very well equipped. are beautiful especially Rhossili and the wonderful sunsets and Llan -y-Fan. Thank you for the thoughtful lovely wine , biscuits and marmalade." which made the already magnificent sites even more amazing.We will be back for sure." "your cottage was warm and inviting.Much appreciated." "What a beautiful cottage with great scenery, very comfortable and homely. It made our visit enjoyable and peaceful.Thank you for the Wine and Marmalade." "We appreciate very much our holidays in Cwm Gors and Lothlorien Cottage. Beacons National Park.Thank you very much for Marmalade,Wine and Cake. We stayed in Lothlorien Cottage for a week and found it very comfortable with everything we needed. We thought that the bottle of wine, welsh cakes and a few other items were a lovely touch, and there were even some treats for our dog, how fab. We met with Caron on arrival who is a lovely lady and Beverly very prompt and helpful via email with the booking process. The beds are so comfortable and there is plenty of storage for all your luggage. There are some wonderful walks and great things to see from this location so long as you have a car, we definitely recommend staying here. Thank you Beverley and Caron. "Very comfortable Cottage, very well equipped with all family requirements well heated and very central for South Wales.We spent a very nice week despite the weather and the rugby result.A big thank you to Caron and Beverley for the wine and Welsh Cakes." "Thanks Beverley the cottage was great.It worked very well for us"
and pleasant, neighbourhood very friendly and loved the Welsh People. Thank you Bev, Caron and Sol. "We had a lovely relaxing time......Hope to stay again." We had a very relaxing time at Lothlorien Cottage, Beverley, despite the weather. But what can you expect with Wales in October? It made Rhossili Beach very dramatic! Caron gave us a very warm welcome and we were very comfortable. "We really enjoyed our stay, it was very cosy and I will definitely look to book a few times each year as an alternative to Hotels when I am next working in the area." "Cottage was very warm and cosy with everything we needed for a relaxing break.Kids loved Dan yr Ogof and the Brecon Beacons.Thanks for lovely welcome." central for South Wales.Many thanks for the goodies when we arrived. "Another lovely relaxed stay in the comfy cottage, a home from home.Hopefully we will be back next year , lots more places to see and explore and the cottage is a perfect starting point.Thank You." C and G Mitchell Ashford Kent September 2013. "Lovely Cottage, well modernised...will be back"
in the beautiful countryside.Thank you again"
"We spent a nice week here ,the cottage is comfortable and pleasant.We have seen a lot of amazing places,Pemrokeshire coast, Brecon B.eacons,Cardiff and the Gower.We enjoyed the Black mountain with sheep and nice little ways.Thank you for the Welcome Pack." guides for Welsh Culture.Thank you for the lovely welcome pack and we really enjoyed the CD collection"
" The family have spent two weeks in magnificent Wales ,your beautiful little house was a wonderful base for our stay here , everything was wonderful and we loved our stay in lothlorien cottage ,thank-you. Angel ,Maria ,Raquel ,Sara and Jose "
"A beautiful ,cosy ,tastefully decorated cottage.The owner has a good eye. The cottage is very well equipped accomodation and very conveniently placed for well discover Wales. Relations with the owners are very cordial and very pleasant. Would recommend to any point of view. " ""Lothlorien cottage was immaculate when we arrived and we were amazed at how cosy and comfortable it felt. We loved the general style and really felt at home for the duration of the week. Although situated on the main road, you can hear no car noise when inside. The beds are ever so comfortable. The kitchen is very well stocked with everything you need to cook. We enjoyed playing the board games in the evenings. We took a walk to the hills behind the house (which you can see from the bathroom window upstairs)and it was the most beautiful walk I have ever taken. The beautiful early morning light and quiet, the warmth of the rising sun, the sheep calling out in the distance, everything was absolutely perfect! I would heartily recommend the cottage to anyone wanting to visit South Wales. " " Had a great Easter visiting friends in the area. The cottage is fantastic, well equipped ,a real home from home. Will definately be booking again. See you next time "
"Thank you so much for renting your beautiful cottage to us , it is really home from home , well presented and beds very comfy. Facilities were excellent.
" Brilliant didnt have to ask for a thing.Home from Home "
and friendly reception. We will be coming again!" "Lovely cottage wonderful weather ,thanks for all"
"This is a cute place, we really passed a nice moment,the kitchen is good for cooking ,bed very comfortable,and living room very cosy,and the country so beautiful! also nice address." "Cottage comfortable et tres agaeable, thank you very much." "We enjoyed our stay at lothlorien cottage,It was a great central place to see Wales,if only the weather had played." "Nice house we enjoyed the time here. We will come back"
"Thanks for a lovely stay in your cottage"
"Many thanks for a lovely comfortable cottage,we have enjoyed a wonderful time exploring the area, thank you for the wine jam and cake "
"The cottage is perfectly positioned for sightseeing and the amenities are first class." "Comfortable, friendly and fitted the bill splendidly. 5/5 "
"Thank you for the wine and the marmalade. we found this a very nice cottage. The region of Wales was very breathtaking." "What a lovely cottage! It was a great place for visiting our family. We would definitely book this cottage again when we next visit and would recommend it to anyone. Thank you." "A most warm and welcoming cottage. Well equipped, really tastefully decorated and... we could almost spend the day in the cottage itself without feeling couped. V.V.HOMELY!! THANK YOU... we will definately visit again. PURR-FECT!" "Thank you so much for a wonderful holiday! The town is charming and very friendly and we thoroughly enjoyed exploring the area - there are some beautiful walks right on the doorstep and we all had fun at the beach which is not too far away. The house itself was lovely - comfortable and well-equipped and we loved the garden and sofas. We also enjoyed the marmalade - a delicious recipe. Our thanks again for a 1st class holiday." "Lothlorien Cottage has for us a warm atmosphere. If you don't know what the expression "Home Sweet Home" is, come here. you will see and understand! A special thought for the garden which is a little place of paradise when, the sun begins to shine. Another good point for the kitchen where Christophe had fun when he cooked! The kids appreciate the softness of the house (even of the ground) and outside the ice cream van with music. Our favourite visit in Wales, a beautiful countryside with friendly people. Dleanavon for our seven year old, Malo. Walks in the highlands with flowers at Rossili Bay for Noah who is four years old. Showcaves and Dinosaur Park for Evan, 11 years old. Langland Bay and Caswell Bay for Isabel (mum)"
"Everything was just perfect, our holiday was just great..... just too short to visit this WONDERFUL WALES. We feel like home in this cottage and have been so happy to come back here after sometimes exhausting journeys wandering through extraordinary sights. 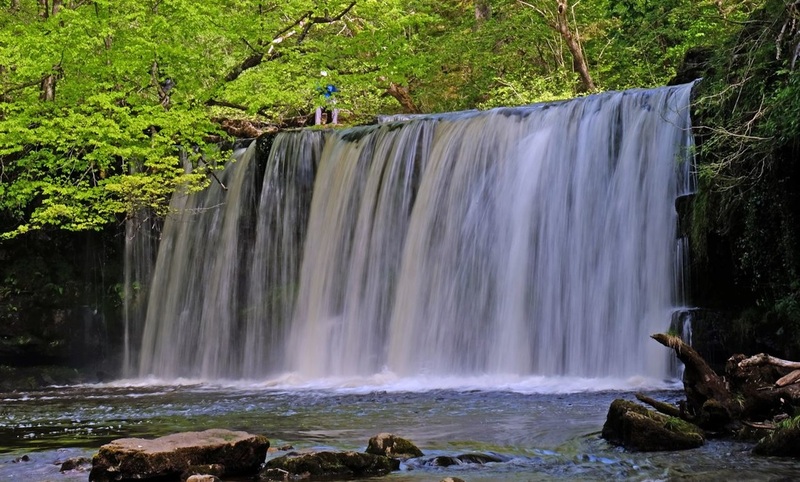 We can recommend the Afan Forest for a great although difficult cycle ride and we loved the Rossili Beach, we could bathe, the water temperate was absolutely surprisingly not cold, and great views from there." "We found the cottage very appealing. The decorations were tastefully done with a balance of ancient and modern. The central heating was very responsive and achieved the desired temperature in a very short time. The beds were comfortable and the bathroom was very pleasing with a nice display of ornaments. I have no hesitation in recommending it to others and would gladly re-book." "Had a great week - loved cottage and very lucky with weather. Hints and tips - fish and chip shop just over railway line was great as was Wok-u-like. CK's supermarket well stocked and friendly food shop or for odds and ends. Walks in Black Mountain was great. Rhossili beach huge and empty - worth 1 hour drive. Highlight was red kite feeding at 2pm - well worth searching out. Abecrant Inn on way to waterfalls worth a visit. Hope you all have as good a week as we did." "Lovely. Warm. Welcoming house. Spotless and charming. Home from Home. Also the welcome basket. It was delightful. Had a super stay. Enjoyed the caves and Dinosaur World and cheered the drivers at Rally GB. Finally it was great to have had everything supplied at the cottage. All we needed to load into the car was ourselves and the dog, and for once, not the kitchen sink. Thank you!" "Dommage qu'il n'y ait pas la possibilité de mettre 10/5 pour l'équipement et le logement !! La maison est très agréable, hyper équipée et fonctionnelle. L'environnement est malheureusement lésé par une route très passante devant les fenêtres de la chambre des maitres... mais le double vitrage est très performant. donc pas d'autres dés-inconvénients que la sensation d'être près de la route. Les nuits ont tout de même été calme. " "We are not going to be very original by saying that everything was so perfect: We felt welcome thanks to the presents in the basket and the cottage is so cosy, so warmly decorated. We had pleasant talks with people at the local pub and good tips on what to do here. Thank you again and again!" Daniel, Couilhum and Solene M.
"Lovely, Lovely, Lovely. Thank you. Thank you. Thank you." "All was perfect thank you." "We felt at home straight away. Great facilities." "A really welcoming cottage to arrive at and so very clean. Great weather for September - no rain all week! Seen the sun every day. Don't try the Gower Peninsula on a Sunday! It's all full of cars seeking the last parking spaces; made it to Oxwich Bay though. Lots of "wow! look at that" scenery and a must was to open the bathroom window every day and look at the ever changing colours on the mountains. Ingrid enjoyed watering and dead heading. Just a superb week! (Have left a few sweets!)" "Very pleasant cottage. We were very happy to visit Wales, the landscapes are so beautiful!!! Thanks for the gifts too... "
"We stayed in the cottage very well. We visited Wales and we think that this land is very wonderful. Thank you for the food and wine"
"We had a very pleasant stay in this nice cottage equipped with all useful items for cooking and cocooning as well. We enjoyed Wales very much, even for its weather." "We found the cottage very lovely. We appreciated the food to make the first breakfast. The week is very lovely." "Thanks for the comfort of the house - we'll enjoy it a lot, because of the rain! Very nice place, with a lot of beautiful things to see: castles, park, the beach and "the dinosaurs park!" The house is very cosy, and we liked a lot the gentle attention with the wine and the bread! - Pour les français: j'éspère que vous aurez beau temps, sinon, pour les enfants, il y a dés crayons de couleur et des coloriages! "When we arrived we were very surprised and overwhelmed by the lovely and homely atmosphere of the cottage. It is very cosy and makes even rainy days feel like a holiday. Thank you for the warm welcome and the selected gifts that contributed to it. We will definitely recommend this cottage to others. Shalom from Heike & Martin "
Heike, Martin and Johanna F.
ENG It was such an amazing stay in this wonderful palace/cottage. There are no details missing, it is absolutely cosy, spacious and elegantly decorated. We were surprisingly welcome with wine, bread and sweets, what a great treat! 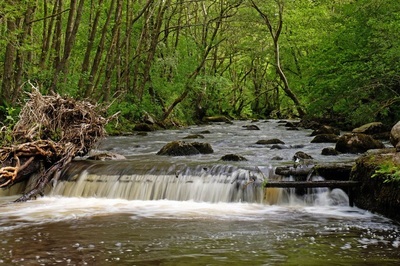 The area is very nice for retreating and enjoying nature and Welsh hospitality. We could not have had a better stay. Thank you. ESP La estancia fue maravillosa, es un lugar estupendo para pasar unas vacaciones y relajarnos. La casa es si es un palacio al que no le falta un detalle. Teniamos preparados vino, pan y dulces, no podian habernos recibido mejor. El lugar es estupendo tambien, bastante diferente a otros sitios de vacaciones, con mucha paz, naturaleza y tranquilidad. Nos gustaria volver alli pronto.